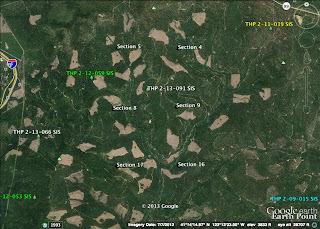 THPBlog: Roseburg Resources Company to clearcut log between Dunsmuir and McCloud, CA. 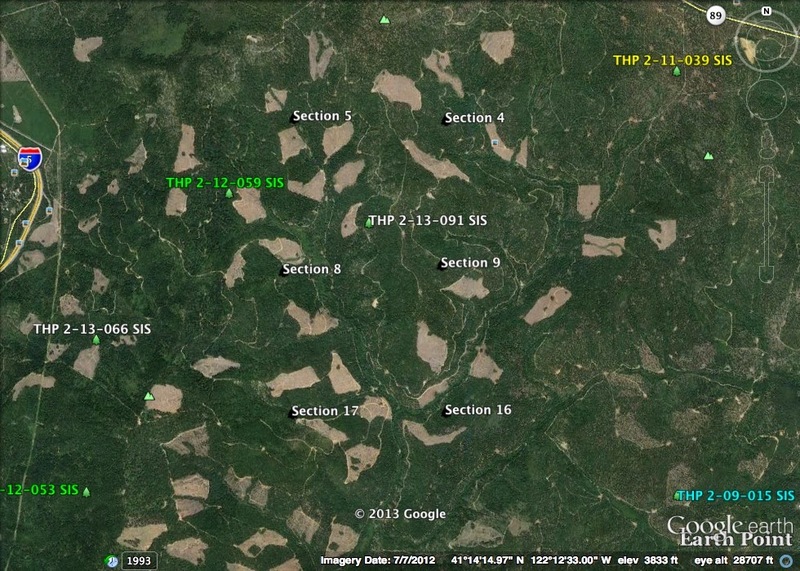 Roseburg Resources Company to clearcut log between Dunsmuir and McCloud, CA. This THP is about 3 miles NE of Dunsmuir, CA and about 3 miles SW of McCloud, CA at an elevation of 3200 to 4400 feet. Roseburg Resources Company is planning a mostly clearcut tractor and cable logging operation in Douglas fir, white fir, ponderosa pine, incense cedar and sugar pine forests. The THP area drains into Soda Creek which flows into the Upper Sacramento River and Lake Shasta. 45 road drainage sites are planned for work including rocking, dip construction and culvert cleaning and repair/replacement, and 400 feet of new road construction is planned inside a class II watercourse. Roseburg Resources Company wants to use tractors in units designated for cable logging to pull trees away from watercourses, yard logs, provide tail holds and to construct firebreaks. Wildlife sightings reported include an American marten sighting within 300 feet of unit 0507, and pacific tailed frog sightings near unit 1703. More information is available on the THP Tracking Center website.